Klever Mobility is the new electric bicycle brand of established scooter manufacturer KYMCO. Klever‘s first model, the S25 has now won the prestigious red dot design award for product design. I am very happy about this news because I know well Adriana Monk she is first of all an excellent designer and also an ex student of mine back at Art Center Europe saturday class times. yesterday I went to check all my old sketches and art works from school times untill today and I decided starting today to post about some of my Art Center College of Design art works and also about other sketches and illustrations like when I was in Fiat and teaching at design schools. 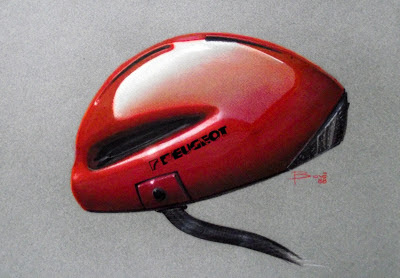 It is about a bycicle helmet illustration done with mixed media, I remember the assignement was about choosing a bycicle company or brand (Peugeot in my case) and make a benchmark about its products and design philosophy. Then design a bycicle helmet for the choosen brand and make a final rendering or illustration of it. -chalk with no use of spray fixative to make sure the cream light color would be saturated and look shiny, application of chalck straight on paper and with my fingers to saturate color. 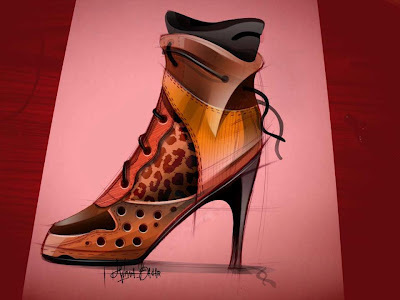 No car sketches this time but an excellent Shoe design proposal made by Hilmar Badar, it is a good example of industrial and fashion design with good illustration skills. 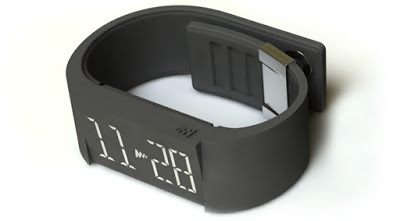 A new watch concept arrives from Sweden, a group of young swedesh projected a new gadget for a new electronic lifestyle: Mutewatch! It is a new watch that follows a bit the “low design” concept, to be essential and simple with an easy technology and good tasty design. The Mutewatch price is 199€ to see how it works and how to make an order go to Mutewatch website for extra info. Click Mutewatch. 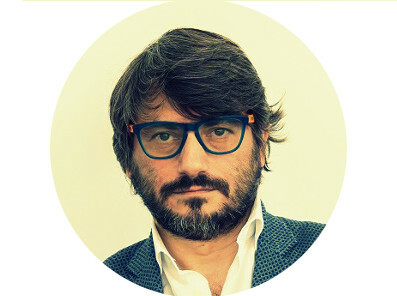 With the economic crisis there is a new trend in Design: the essential or low design. 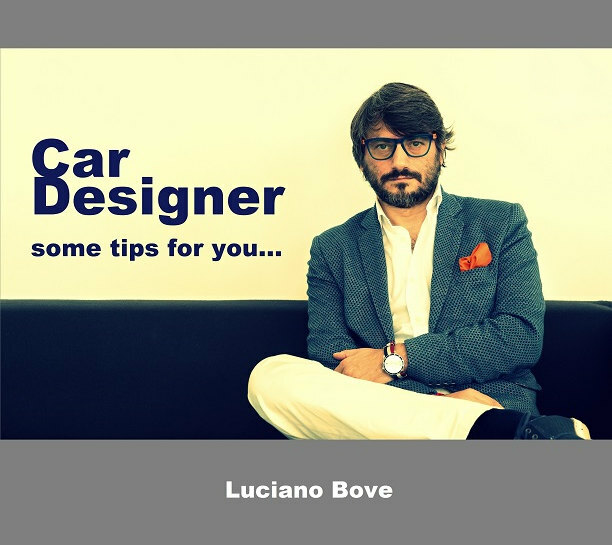 Get the most with little, provoke emotions with extreme simplicity and low cost design. 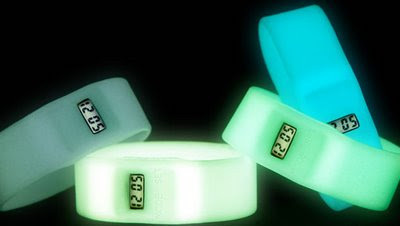 The Too Late glowing watches are a good example. Made of sylicon, waterproof, 5 colors, ultralight and a trendy attractive design. I just bought one a week ago and since then it is always with me. 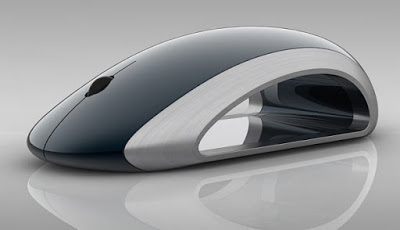 Surfing around the net I found this intersting concept of Mouse named “Zero Concept” designed by Oliver Rosito from Istituto Europeo di Design Madrid. It is clear the transportation design influence in his approach, it is very attractive and well done the only doubt I have is about the ergonomics because of the empity space on the sides…usually that is the point where we put our thingers to hold securely the mouse! 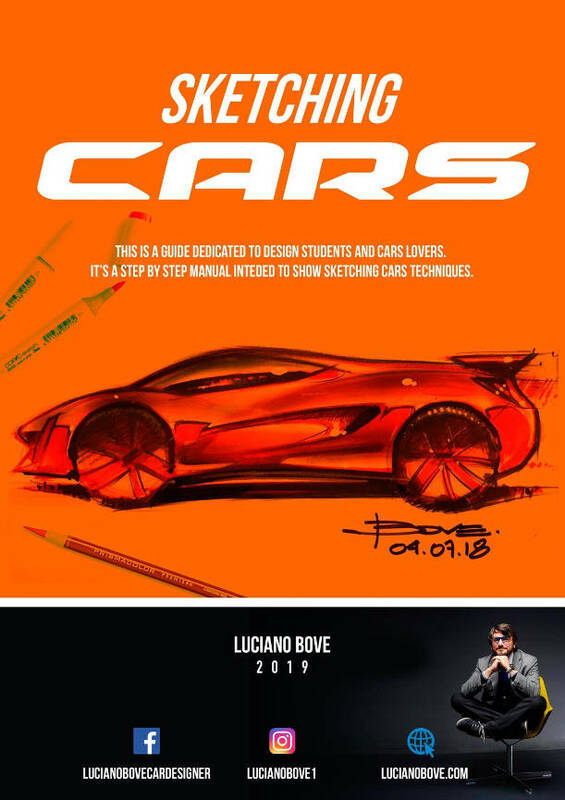 IDSKETCHING.COM: Quickness Tips from Industrial Design Sketching on Vimeo. This video tutorial follows the quick sketch/ideation of a cell phone concept as it goes from a quick sketch to concept composition page in the matter of minutes! Check it out and see about taking some easy shortcuts to get to a final sketch presentation page.